Was born on February 17, 1835 at the village of Kamarpukur in the district of Hooghly, West Bengal, India. His father’s name was Khudiram Chattopadhyay and mother’s name was Chandramani. His childhood name was Gadhadhar. Though Gadhadhar was meritorious and intelligent, he lacked interest in mathematics. He would like to hear stories of Ramayan, Mahabharat and read scriptures. He would worship the family deity ‘Raghubir’ with devotion. At the age of eight, one day he went to visit the temple of Goddess ‘Bishalakshmi’ with his neighbors in a near by village. At the sight of the Goddess he lost consciousness. The neighbors became very concerned. However, he regained consciousness in a short while. Later he told that the Goddess merged within him. Gadadhar lost his father when he was still a kid. His father’s death brought a change in him. He would spend more time in worshiping the family deity ‘Raghubir’ (Sri Ram) than studies. The village jaminder Laha Babu had a guest house where lots of pilgrims to Puri used to stay overnight. Among them there were many Sadhus. He started spending time with the Sadhus and learn the scriptures and process of meditation. On his father’s death, all responsibility of maintaining the family now fell on his elder brother Ramkumar. Since there were not enough income at the village, Ramkumar went to Calcutta and started a school to teach Sanskrit and Scriptures at Jhamapukur. But that school also did no run well, so he accepted job of a priest at the newly established Kali temple established by Rani Rashmani at Dakshniswar. Gadadhar also came to Dakshniswar to stay with his brother. Soon Ramkumar proposed Mathur Babu (Rani Rashmani’s son-in-law) that his brother Gadhadar would act as the preiest. Mathur Babu agreed. But Ramkumar did not live long. Within a year of accepting the job of priest at Dahshniswar, he left the mortal body. His sudden death gave a blow to Gadhadhar. He started feeling guardianlessness again and realizing fragility of life. He started devoting more time in worshiping the Goddess. His earnestness increased for the vision of the Goddess, Kali. He would cry during the worship and tear drops would roll over his cheek. At night he used to go to the nearby ‘Panchabati’ forest for meditation. One day Gadadhar decided to end his life if he could not gain a vision of the Goddess Kali. During the worship he extended his hand to obtain the sword from the hand of the Goddess to finish the job. All on a sudden he obtained the vision of the Goddess and fell unconscious on the ground. After that whenever he used to start worshiping the Goddess, a ray of light would originate from the mouth of the Goddess and touch the food offered to her. At that moment he would fall unconscious. He started feeling a burning sensation all over his body. It became difficult for him to worship the Goddess. In the meantime Gadadhar’s nephew Hridayram had arrived there. With Mathur Babu’s approval, Gadadhar appointed him as the priest. After that Gadhadhar would often fall unconscious and call ‘Ma, Ma’. Many people thought that he has turned mad. His mother brought him back to Kararpukur (his paternal home). He became comparatively calm. Many people advised that this madness would go if he got married. Everybody started to look for a bride, but no body could find one. His brother became saddened. When Gadhadhar heard this he said ,”My bride is waiting for me at Jayrambati, she is Saradamani, the daughter of Ramchandra Mukherjee”. Surprisingly they found the bride and Gadhadar was married to her. A year after marriage Gadhadar went back to Dakshniswar and started worshiping the Goddess again. But same thing started reappearing – unconsciousness, burning sensation and madness. Mathur Babu called two Kabiraj (doctor of traditional Indian medicine), they opined that this is not a regular disease, it happened due to excessive meditation and there is no medicine for it. In the meantime, one Vairabi (a woman sannyasi) arrived at Dakshniswar and started looking for Gadhadar. Gadhadar asked, “How did you know about me”. She replied that she was directed by ‘Ma Bhabatarini’. Gadhadar asked again, “Have I turned mad”. Vairabi said that it was not madness it was ‘Mahabhab’ (a state of God realization) and Sri Chaintanyadev had this as well. 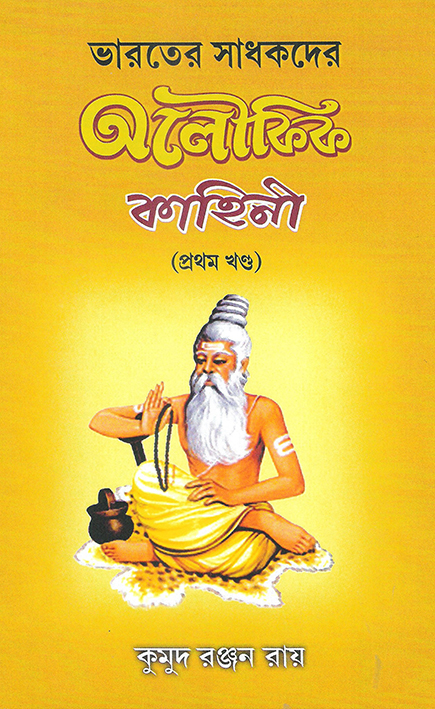 Vairabi wanted to teach Tantra Shastra to Gadhadhar. He said that he would not learn anything without approval from ‘Ma Kali’. With Ma Kali’s permission, Gadhadar obtained Tantrik lessons and became a “Tantra Sadhak’. Vairabi one day declared that Gadadhar (Sri Ramkrishna) is an incarnation of God. At this Mathur Babu felt very much disturbed. He invited a conference of learned Pandits (persons having thorough knowledge of scriptures). After the conference,the Pandits declared that he has all the signs of incarnation of God. After a long stay Vairabi left for her unknown destination. 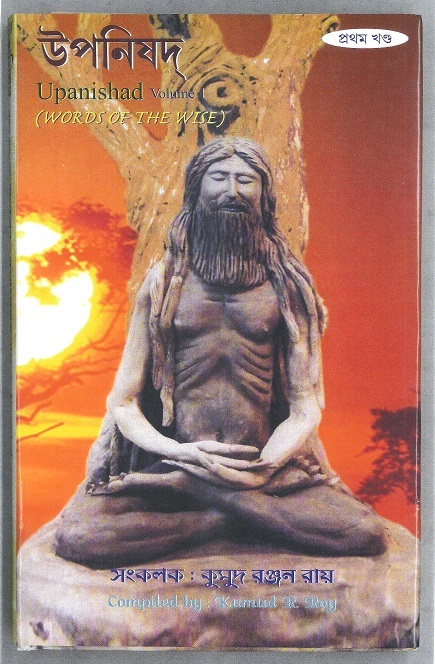 Soon after, a naked Sannyasi ( a monk) named Totapuri with long hairs arrived in Dakshniswar. At his first sight. Totapuri realized that Ramkrishna was a highly spiritually enlightened devotee. He proposed to teach the ‘Vedic Way of Meditation’ for God realization. He responded the same way as he did to Vairabi, “I don’t know, only my mother (Ma Kali) knows”. Totapuri said, “Go, and ask your mother”. On mother’s permission, Ramkrishna started learning “Vedic Way of Meditation”. In a very short time he was able to attain “Nirvikalpa Samadhi”. Totapuri was astonished and said, “It took me forty years of meditation, what you have attained in a few days”. Totapuri normally does not stay in one place for more that three nights, but he loved Ramkrishna so much that he stayed at Dakshniswar for eleven months. In the mean time, Sarada devi reached the age of eighteen and came to live with Sri Ramkrishna at Dakshniswar. Shortly after her arrival Ramkrishna asked Sarada Devi, “Have you come here to bring me down to the path of material pleasure”.? Sarada Devi replied, “No, I have come to help you in your path of spiritual achievement”. Throughout her life she not only helped Sri Ramkrishna in his spiritual path, she also elevated herself in that path. Many famous Calcuttans came in contact with Sri Ramkrishna – like Girish Chandra Ghosh (a famous actor-dramatist), Keshab Chandra Sen (a famous orator and leader of Brahma Samaj) etc. Though Mr. Girish Ghosh was a very popular actor, he was a habitual drinker and lived an undisciplined life. He completely surrendered to Sri Ramkrishna and requested him for his salvation. Sri Ramkrishna agreed. 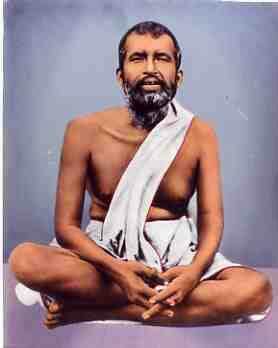 Sri Narendra Nath Dutta (who later became known as Swami Vivekananda) was Sri Ramkrishna’s most remarkable discovery. Narendra Nath after lost his father Biswanath Dutta, a fomous lawyer, was looking for a job, but could not find one though he had a B.A degree. One day he met Thakur Sri Ramkrishna and asked, “You say that God is very kind and graceful, but I don’t see that. We are submerged in debt and hunger, but where is he”? 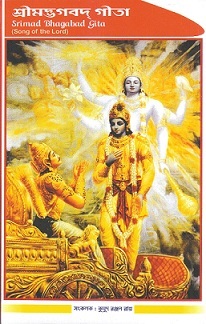 Thakur realized that Narendra had a very pure and sacred soul and invited him to come to Dakshniswar. At Dakshniswar, Narendra asked Thakur, “Did you see Goddess, Ma Kali”? Thakur replied, “Not only I saw her, I talk to her and she accepts my food offering”. Why then you don’t tell your Ma to bring us out of hunger and poverty. Thakur said to-night is a very auspicious day. To-night you will get from Ma whatever you ask for. Narendra went to the Mandir (temple) three times, but could not ask for money or wealth, but asked for devotion, knowledge and blessings. Then Thakur said,” Ma has told me to tell you that from now on you will have no want of basic food and clothing”. Later on Narendra became his disciple, denounced the family life and accepted sannyas. He became known as Swami Vivekananda. In 1893 he attended the World Conference of Religions in Chicago, USA and presented the glories of Hinduism and Vedas to the West for the first time. Swamiji was the most sought after speaker in that world conference. Later on he established Ramkrishna Mission. In early part of 1885, Sri Ramkrishna acquired throat cancer. Mr. Girish Ghosh had throat cancer earlier. It is popular belief that he assumed Mr. Ghosh’s cancer and cured him from the disease. Many disciples told that you cured many people from their diseases, why don’t you ask Ma to cure yourself. He replied, “I dedicated myself to Ma, I can not ask her anything for myself”. Sri Ramkrishna left his mortal body on August 16, 1886. Sri Ramkrishna Paramhansa left behind his wife and eleven devoted disciples. Later in their lives, Ma Saradamani became an enlightened Sannyasini and all the disciples became enlightened Sannyasis. Faith and devotion are the stepping stone to God realization. Ego, pride and materialistic desire take us further away from God. Always control your senses like – Kam, Krodh, Lov, Moha, Madh & Mathscharya. There are as many paths, as many missions. The missions of all religions are the same God, just as all rivers flows to the ocean. Unconditional surrender God is the easiest way to God realization.